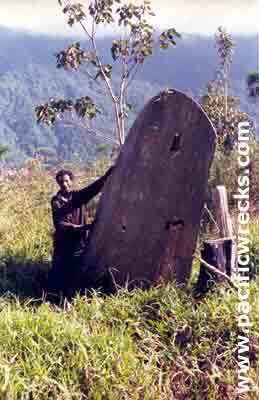 I was in PNG between Dec '85 and Dec '87 and was based at Mendi, the capital of the Southern Highlands. I was in the Australian Army at the time and was posted to 12 Chief Engineer Works. Basically, we were the running the civil enginneering works for the Southern Highlands Department of Works. We were responsible for all government vertical and horizontal construction throughout the Province. Our tasks were many and varied and included the construction of schools, health centres and roads, bridges etc. 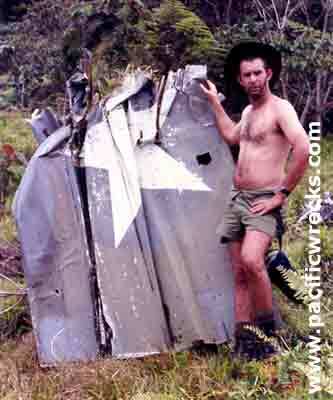 I have always been fascinated by WWII aviation and I remember seeing an old magazine in the late 60's (Life, or Look) about wartime aircraft wrecks in PNG and the islands. This magazine picqued my interest and I have been hooked ever since! As I said in my previous e-mail, I'd be interested in contributing. Please send my a skeleton of what you want covered and I will flesh it out and forward it to you along with scans of any of my pics. 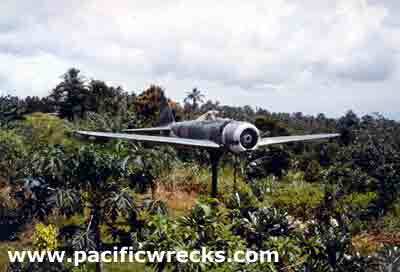 A6M5 Zero roughly restored was placed on a pole at Coastwatchers Memorial Lookout. At one stage, it fell off its perch and was then trucked back into town, where it was placed in the yard of the Rabaul Technical College, a fellow by the name of Michael Pearson being responsible for it. 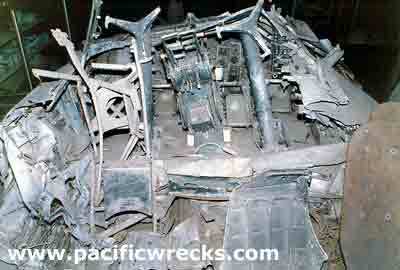 Michael recovered a lot of stuff from the wrecks in the harbour if my memory serves me correctly. I last saw it in the Tech. College about 1985, or earlier. Between Wau and ? three C-47s are in that area. But I have copies of 99% of all missing aircraft, and I do not recall a C-47 with so many nurses on board. If true, it would have ben quite highlighted.